When the gear box on Bord 120 was opened up, we found plenty of cleanup work to be done. The smaller(!) parts were removed and cleaned and lubricated by hand to restore free and smooth operation. While the larger parts were first cleaned and treated in place. After cleanup and lubrication, all of the assemblies were visually inspected and checked for free and smooth operation before reassembly. Bill and Brad are looking at the operation of the planetary gearbox in the upper transmission section. The first step in rebuilding the older transmission was taking everything apart. A lot of people are good at taking things apart. Fortunately we have some people that are pretty good at putting things back together as well. Here the upper section is suspended while the planetary gears are being chemically washed and cleaned. Suspending the section allowed gunk and grit to be washed out of the bearing races instead of being driven further into the races. The lower section has been cleaned and all gearing now rotates smoothly. Each piece of the housing is cleaned and gears and bearings are cleaned and lubricated to restore smooth operation. And individual parts are laid out so they can be cleaned and checked. In January, we reported that we had removed the transmission from Mi-24 Bord 120 in anticipation of receiving a replacement transmission. Well, the replacement transmission arrived, but when we set about installing it, we found that even though it had the same part number, there were some differences. The guys evaluated moving the "front end" from the old transmission to the new, making a hybrid of sorts, but then decided to see if they could restore the old unit to working order. One of the good things about working with this equipment is, "there is no miniaturization involved". When we opened this baby up, we didn't have to worry about a bunch of little parts falling out. This is real "manly" stuff. Of course it must be strong to act as a transfer case for more than 4,000 horsepower. This picture shows the upper section being lifted from the lower section. At the front of the lower section is where the drive shafts from the two 2,250 horsepower turbo-shaft engines connect. Unfortunately, when we got inside, we pretty much found what we had expected. Either the transmission was not properly conserved, or the conservation had failed and water had gotten in. In following posts we will detail the cleanup process. The trucking accident that changed Mi-24 Bord 122 from a flyable helicopter into a static display, laid the transmission and rotor head down onto the clam-shell access doors surrounding the rotor mast. These unarmored skins were among the worst damaged non-moving parts on the aircraft. The left engine exhaust cover, also damaged, is shown behind the damaged clam-shell top doors. 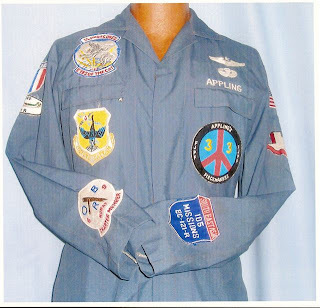 The CAF - CWAM Joint Metal Repair Team recently spent a day working on these buckled and torn skins. Even though Bord 122 will never again be a flying helicopter and repairs did not have to be made to airworthiness standards. the group wanted to restore the exhibit to its proper appearance. In the final stages, the doors were brought together and adjusted to mate as they did in the original assembly. 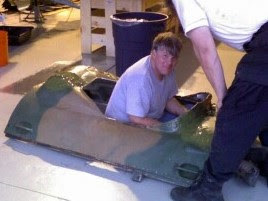 In order to make a fit, Bruce climbed inside to brace the pieces while final adjustments were made. These pics, snapped with a cell phone show Bruce, a rotary-wing pilot, ready to go. He only needs a few more parts, like a rotor, collective and cyclic to take flight. The volunteers assisted with appropriate helicopter noises and "helpful" advice. The Mi-24 static display at the CAF museum continues to "come to life". Here a joint group of Commemorative Air Force and Cold War Air Museum volunteers is shown working on the top turtle-deck for the display. Jim, a CAF volunteer is drilling out rivets in a broken section so that metal patches can be installed. The CWAM guys were glad to learn a few tricks from someone who had obviously done this before. 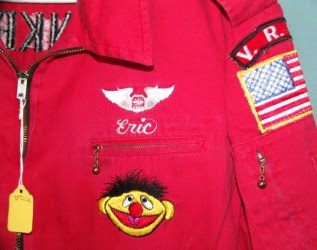 Because this is a non-flying, static display that can never be returned to flight status, repairs need not be done to flight standards. These two clam-shell doors were among the most severely damaged light metal pieces. Since most of the volunteers are guys, who by nature are clean-up challenged, part of the work was performed directly over the trash can. This high-efficiency method eliminated the intermediate step of chasing metal scraps with broom and dust pan. Genuine mil-spec duct tape is seen here in its standard military roll as a temporary patch. The ongoing restoration of the Mi-24 "Gate Guardian" continues with work to clear the upper decks so blades can be reinstalled. Looking through the CAF's jeep, CAF-CWAM volunteers are seen working on the CAF static display. For more stories about this restoration, click on the label "Board 122" at the bottom of this post. High winds made work on the helicopter today a challenge. George, who is ladder-challenged anyway, had to do his supervising from one of the ground support vehicles. 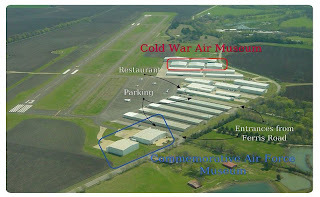 The goal for the Commemorative Air Force and Cold War Air Museums is an exhibit that will be enjoyable and meaningful for the public and future generations. 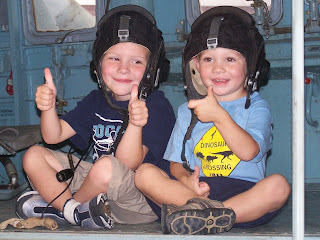 Here we get two thumbs up from some future aviators. Thanks Guys! Everyone knows about D-Day. Many of us remember VE-Day and VJ-Day. But C-Day? What is that all about? To understand C-Day we must go back to the post WWII era and the need for a stabilizing currency in Europe. The response was the creation of the Military Payment Certificate (MPC). MPC evolved from Allied Military Currency as a response to the large amounts of US Dollars circulated by American servicemen in post-World War II Europe. The Franc, the Deutchmark, the Yen and the other currencies of the post war nations were under assault. The local citizens might not trust local currencies as the future of their governments was unclear. Preferring a stable currency like U.S. dollars, local civilians often accepted payment in dollars for less than the accepted conversion rates. The flourishing blackmarket in fact, fueled this problem. US Dollars became more favorable to hold, inflating the local currencies and thwarting plans to stabilize the local economy. Contributing to this problem was the fact that US occupying forces in Europe and Asia were being paid in dollars, which could be converted in unlimited amounts to the local currency with merchants at the floating (black market) conversion rate, which was much more favorable to the GIs than the government fixed conversion rate. From this conversion rate imbalance, a black market developed where the servicemen could profit from the more favorable exchange rate. To reduce profiteering from currency arbitrage, the US military devised the MPC program. MPCs were paper money denominated in amounts of 5 cents, 10 cents, 25 cents, 50 cents, 1 dollar, 5 dollars, 10 dollars, and starting in 1968 20 dollars. MPCs were fully convertible to US dollars upon leaving a designated MPC zone and convertible to local currencies when going on leave (but not vice-versa), and were illegal for unauthorized personnel to possess, thus, in theory, eliminating US dollars from local economies. Although actual greenbacks were not circulating, many local merchants accepted MPC on par with US dollars, as they knew they could use them on the black market. This was especially evident during the Vietnam War when the MPC program was at its zenith. To prevent MPC from being used as a primary currency in the host country, thereby destroying the local currency value and economy, MPC banknote style would change. Many veterans can recount a conversion day or C-Day. C-days in Vietnam were always classified, never pre-announced. On C-day, soldiers would be restricted to base, preventing GIs from helping Vietnamese civilians — especially local bars, brothels, bar girls and other black market people — from converting old MPC to the newer style MPC. Since Vietnamese were not allowed to convert and frequently lost savings by holding old worthless MPC, they would be very angry about their MPC loss. 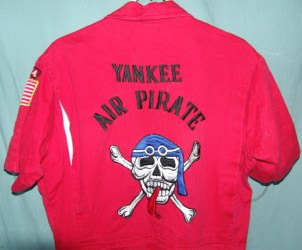 It has been rumored that they would then "arrange" to have the nearest U.S. base rocketed or mortared the next night. To the GI, MPC was an unwieldy way of providing currency. The size was unusual and the volume required to carry even an small amount of the paper currency was awkward. In addition, it did not wear well in the climate of Vietnam and wore out fast. Thirteen series of MPC were issued between 1946 and 1973, with varied designs often compared to Monopoly money due to their colors. After the Vietnam War MPC was never again issued, and the concept lay dormant until the late '90s when it was replaced by a Stored Value Card system, presently used by U.S. armed forces in Iraq. Assembling the MiG-23 showed how support equipment is necessary. In addition to creating the exhibits, one of the many jobs at the museum is to gather and archive as much information as possible (for ease of access and future use). As with all government and military projects, documentation sometimes seems like more of a job than the project itself. This book, complete with mechanics fingerprints (ours or theirs, I can't tell), catalogs the ground handling equipment for the L-29. 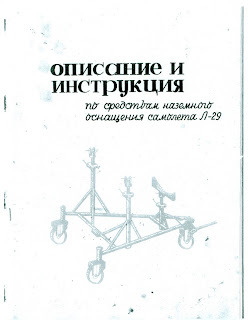 The picture at right shows the actual engine "truck" pictured on the manual above. Locating this manual and getting it on the list to be scanned was triggered by a recent request from a RedStar flyer who is restoring one aircraft for flight and another for museum display. The aircraft being restored are not L-29's but almost everything else we have is currently in use so we were looking jointly at what we have available and how it could be used. Sometimes we have had to be quite creative at building our own fixtures and equipment, so we encouraged our friend to "think outside the box" (and) "That" led to story telling. No matter how creative we get, we can be topped when we hear stories from the field. A friend, formerly a mechanic "from the other side" told of how he needed to change a tire while at a remote field in a foreign country. There was a tire, but no jacks were available. The local commander said "no problem", and brought two squads of airmen out. One squad lifted the wing of the airplane while the other stacked truck tires underneath until the airplane tire could be changed. Human ingenuity is universal when it is allowed. Ground support equipment - maintenance fixtures, tow bars, tugs, starting equipment and the like continue to be a growing part of the necessary (and sometimes critical) assets of the museum. One of our volunteers likes to build model aircraft, so we've had a lot of discussion about building models of the museum aircraft. The models could be used as a miniature display of the museum, to assist with museum layout, to evaluate paint schemes or just for fun! This model was built by an associate several years ago, after riding in L29, "bord DN". It was carefully painted and detailed to match the real thing! The paint and detail compare favorably with the real thing! Painting a model is a lot of work, but painting a full size airplane is even more work and expense. The model above started as a kit like the one below. One thing that almost everyone with CJ experience will tell you is - "Its an honest, fun, low cost (as warbirds go) airplane to own and operate." 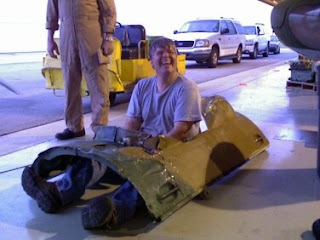 This picture was taken years ago after I met another future director of this museum at an airshow in West Texas. Alternatively, I refer to this picture as "when I still had hair". The CJ falls between the T28 and T34 American trainers in size. The larger T28 can outrun and outperform it, but at higher operating cost. The smaller T34 (A model) can keep up with it despite a smaller engine or (B model) outrun it because of its weight and size advantage. But again at a higher acquisition and maintenance cost. After weighing a number of factors, I chose the Nanchang CJ as my "entry level warbird". A problem for early adopters was skepticism when the aircraft first began to be imported in the 80's. Back then, everyone called their plane a "Yak", referring to its Russian cousin, the Yak 18, because Chinese aircraft were a rareity. Now, no self respecting owner would refer to his CJ as a Yak (but almost every controller will call it that, its easier to say over the radio). Then there were only two CJs or Yaks flying in North Texas, now there are more than fifty within easy range of Lancaster Airport. The standard Chinese Army Air-Force paint scheme is an olive-drab green over blue. This airplane was repainted in a shinier, brighter version of the standard colors. 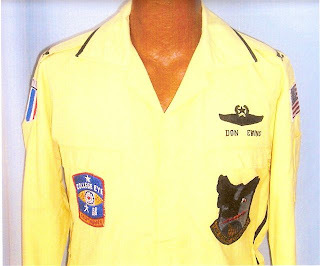 The insignia shown is similar to the standard insignia but lacks the Chinese characters for "39" that belong in the red star, refering to the year of the "long march"
Locals gave the plane the nickname "Kermit" because of the bright green color. Like everything else on the "Chang", cockpit layout is basic and straightforward. The white line up the center of the panel gives the pilot a reference. In case of disorientation, align the stick with this line until you and the airplane get things sorted out. Unfortunately, this particular airplane passed on to another owner and is no longer flying. More information and pictures on our current CJs can be found on the museum's CJ-6A web page. 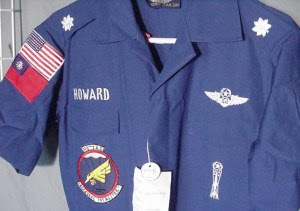 Or click on the CJ-6a label below for other blog posts about CJ's.